When we launched Google Pay, our goal was to make it easier to pay in stores with your phone and online using the payment methods saved to your Google Account. In the past few months, we’ve made this possible by bringing fast, simple checkout to more devices, browsers, and services. Today, we’re starting to roll out updates that will let you do even more with Google Pay. Here’s a look at what’s new. We’re combining the Google Pay and Google Pay Send apps. Now, you can send or request money right from the Google Pay app if you live in the U.S. (and soon in the UK). And if you picked up the tab using Google Pay, it’s even easier to split the bill. Just tap on a recent purchase and instantly request money from up to five people. Never miss another show because you forgot to bring your tickets. Just save them from places like Ticketmaster and Southwest and you’ll always have them on hand. 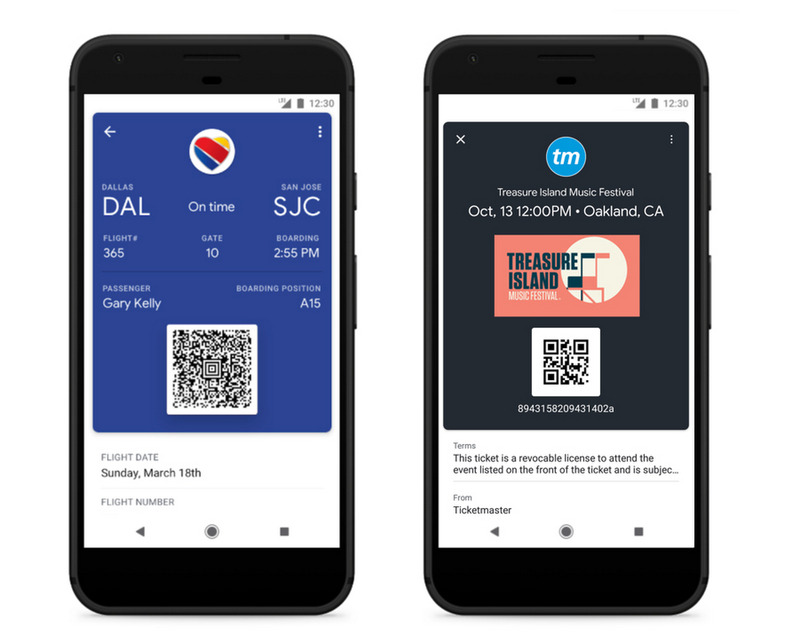 (You’ll be able to store event tickets and boarding passes from even more places soon, including Eventbrite, Singapore Airlines, and Vueling). Once your tickets are saved, you’ll find them with your loyalty cards, gift cards, and offers on the Android app’s new Passes tab. When it’s time for your event or flight, use your phone as your ticket—no printing required. 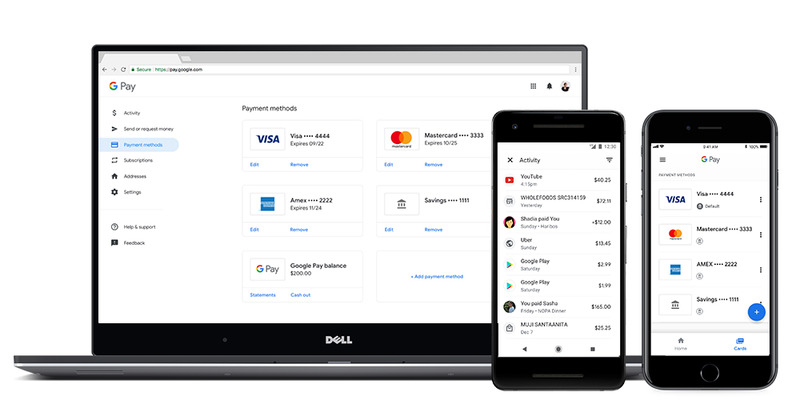 Now that you can use Google Pay on desktop or on iOS, in stores or on transit, on your phone or with your Assistant, we’ve also made it easier to manage your payment info in the app or on the web at pay.google.com. Everything is synced with your Google Account, so if you update your payment info on the web, it’ll be reflected on your phone. Plus, if you download the app, you’ll be able to quickly set up eligible cards saved to your Google Account to pay with your phone in stores. Get the app and visit the site to check out all the new features.